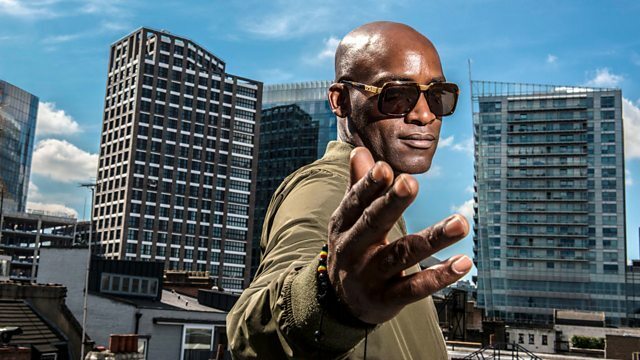 Acclaimed British rapper Rodney P sets out to show what the world looks like when it is seen through the lens of hip-hop, and reveals a fascinating alternative version of reality. Embarking on an immersive authored journey, Rodney P reveals a fascinating alternative version of reality as seen from the perspective of a culture which was created in the black and Latino ghettos of 1970s New York, and has since evolved into a world-dominating cultural powerhouse. Whether it's chronicling life on the streets or offering a surprising twist on global events, hip-hop has given a voice to the powerless and dispossessed while also acting as a platform for ideas, opinions and sometimes controversial theories to be shared amongst its millions of followers. Looking at big issues such as power, conspiracy, education and money, Rodney meets iconic figures like Public Enemy's Chuck D, Def Jam's Russell Simmons, who created the template for the hip-hop mogul, and New York rapper Rakim, agreed by many to be the greatest MC of all time. Rodney's journey also gets to grips with contentious issues like police brutality, extreme language and the role of women in a culture some see as misogynistic, to provide a fascinating take on what the world really looks like with a hip hop state of mind. As Rodney explores the important issues and powerful ideas through the lens of hip-hop, he learns more about the culture he himself has been part of for almost four decades while showing those who have never quite understood (and may even have dismissed it) just how surprising and rich that culture really is.